In the last post, we saw that Roy Dupuis was the main actor in the newly released film “Ceci n’est pas un polar”. The film has garnered some amazing reviews, and a good number of people have said that it has been one of Dupuis’ best performances. In this post we’ll take a closer look at Roy Dupuis. Owing to his star status, it is difficult to talk about the Montréwood without mentioning Roy Dupuis some capacity. 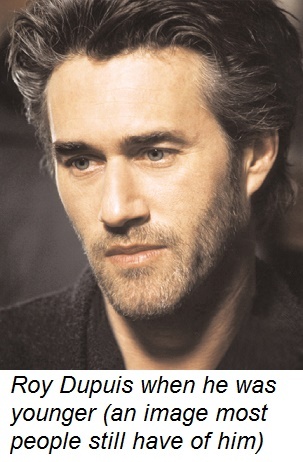 In terms of comparison, it could be said that Roy Dupuis is to Montréwood what John Travolta is to Hollywood..
Like Travolta, Roy Dupuis made a huge name for himself when he was much younger – having starred in some of Montréwood’s greatest hit movies and television series of modern times. Although Dupuis is now in his early 50’s, people likely still have a younger image of him in their mind when they picture him (much as it is when it comes to John Travolta). One thing that many people do not realize about Roy Dupuis (especially in Québec) is that he is originally Franco-Ontarien and not Québécois. Of course, he could now also said to be Québécois considering how long he has lived in Québec, but he is nonetheless considered Franco-Ontarien in the heart of many Ontarians. He was born in New Liskead in the Francophone region of Northern Ontario. Despite growing up in Ontario, he did not speak English as a child (something which is not so uncommon in Northern Ontario). 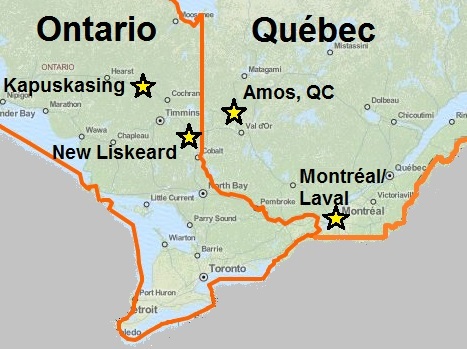 At age 11 his family moved for a short while to Amos in Northern Québec, but they moved back to Ontario soon after – this time to the Francophone city of Kapuskasing (where he lived until his mid-teens). Prior to finishing high school, his family moved to Laval where he graduated. After graduation he attended acting school in Montréal. From there, the rest is history. His career started in the mid-1980s, and he landed roles in some of the biggest hits not only in Montréwood history, but also some of the biggest hits in Canadian film and television history (in terms of box office sales and viewship numbers). Lance et compte (the portion of the series which ran from 1986 to 1989) — one of the most successful television in the history of Montréwood and Canada. Les filles de Caleb (from 1990 to 1991, which is where I first came to truly know him as an actor) — one of the best remembered television series in the history of television in Canada (it was also shown in an English dubbed version). Urgence (1995) — one of most successful French-language television series. La Femme Nakita (1997-2001). — one of the best remembered television series both in English and French in the country. Jésus de Montréal (1989) — one of the biggest hits in Canadian movie history. Séraphin: Heart of Stone (2002). Les Invasion barbares (2003) — one of the biggest hits in Canadian movie history. Maurice Richard: The Rocket (2005). Dupuis has become known as an environmental activist and has publicly spoken about his views to bring attention to various environmental issues. He also was the narrator for the 2015 documentary Empreinte; a documentary on the historical and anthropological relationships between French colonists and aboriginal populations. Many Anglophones across Canada also are fans of Dupuis’ work. His French-language television series La Femme Nakita also was filmed in English and was a pan-Canadian English-language hit (it was not dubbed, but rather was filmed in two versions). In addition, the TV series Les filles de Caleb was dubbed into English for Anglophone Canadian audiences, and was shown nation-wide. In my opinion, Roy Dupuis is obviously someone who is very attached to his heritage and causes regarding the well-being of society are dear to his heart. Considering his Ontario roots and his notoriety in English Canada, he would be a perfect ambassador for causes which can bridge the Two Solitudes. Hopefully we’ll see some of his future projects lean in this direction. By Quebec Culture Blog 101 in Movie Actors on April 20, 2015 .